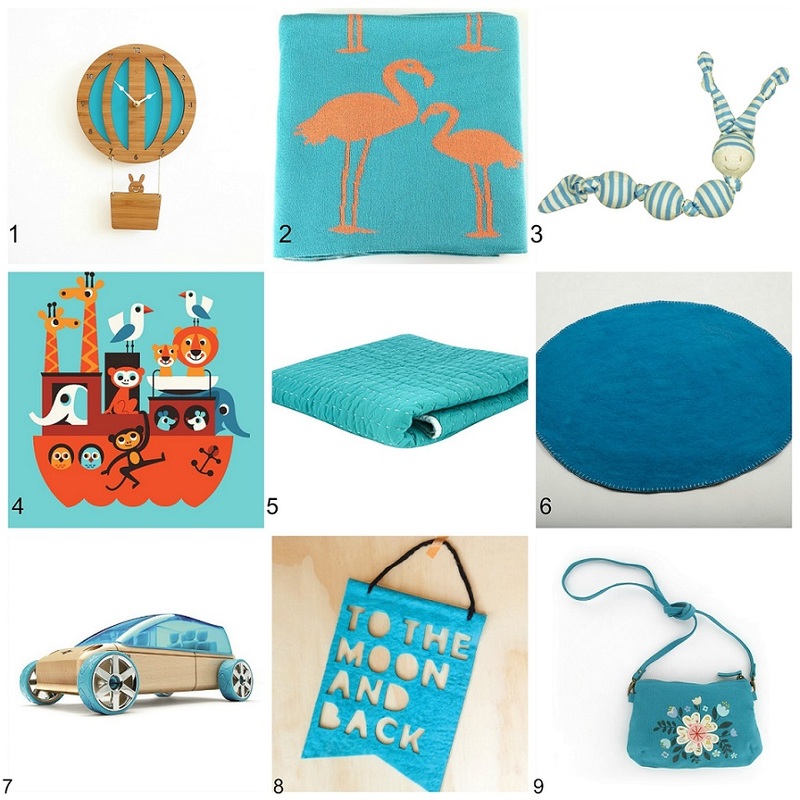 Showcasing The Colour ‘Teal’ And Great Ways To Use It In Kids Rooms. We are showcasing the colour ‘Teal’. Why? Because it’s beautiful! It’s stunning in a monochrome designed room for a pop of colour. It’s great styled together with chocolate. It's delicious with similar tones such as blues and greens. And it’s awesome in a girls room combined with pink. 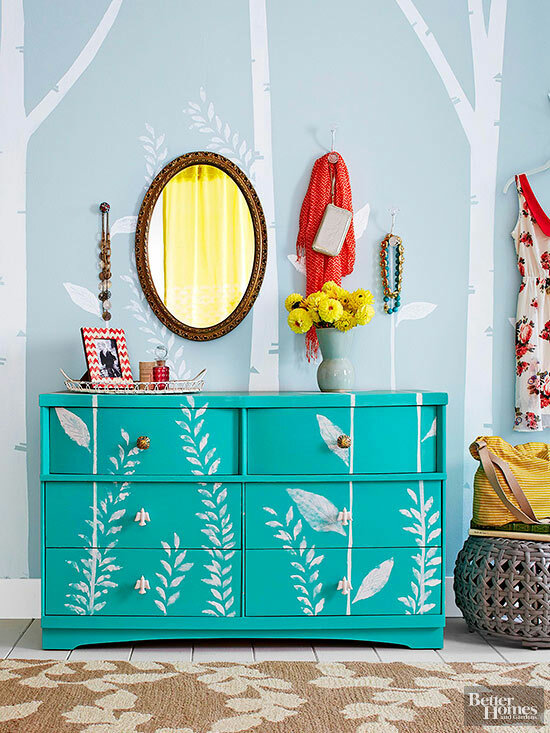 There is great inspiration on-line on ways to combine teal with other colours- just Google ‘Teal Kids Room’ and check out some images. Or check out Pinterest. Here is a selection of products from A Whole Lot of Love that would work perfectly in a 'Teal' room. And these are all currently in stock. 1.Laser Cut Bamboo Clock – Blue Hot Air Balloon .link. 2.Cotton Knit Baby Blanket - Flamingo by Indus Design .link. 3.Keptin Jr Sneeky Soft Rattle With Organic Cotton .link. 4.Ark Poster by OMM Design .link. 5.SCOUT Lifestyle - Stitched Quilt .link. 6.Woollen Circle 90 cm Felt Floor Rug / Mat .link. 7.Wooden Cars by Automoblox - M9 Aqua Sports Van .link. 8.Homely Creatures 'To The Moon And Back' Felt Banner (Also In Black Or White) .link. 9.MINI LABO Girls Shoulder Bag With Floral Embroidery .link.